We want you to become our newest member! Please review the entire page, to learn more about membership details. Mt. Motorcycles is a small and private destination, with lots of great potential. As well as great expectations! And we feel it’s important for all prospective members to know what those expectations are. Our ultimate goal is to operate a moto-sanctuary, where our members can enjoy terrific riding opportunities well into the future. In order to make that happen, members and management must work together and strive to remain on the same page, at all times. If we are on the same page, we will stand a better chance of remaining on the same page with the landowners, our community, The U.S. Forest Service (next door), and the sport in general. We seek members that will take pride in being a part of our mountain and representing our way of life. Does that sound like you? The operation is a no frills, grassroots type of place way out in the country. While we obviously want to grow, we must always do our best to balance the relationships with nature and those around us. We have to fit nicely into the space we have. Our management wants to steer the mountain in the direction of “quality over quantity”. Quality of trails is more important than total mileage. The quality of our member group is more important than the total number of members we have. Mt. Moto will stick to the basics, by offering: a great effort, great riding, adequate lodging, natural beauty, fair prices, and friendly service. Cooperation and mutual support between members, landowners, the industry, and management can make Mt. Moto all it should be! Riding and lodging here is reserved for club members and staff only. We are not a public facility. In order to ride at Mt. Moto, all guests must first become official members of Mt. Motorcycles. Your annual membership dues will be applied directly to insurance premiums, and without these dues, the resource simply cannot survive. In a time when our sport is losing properties at an alarming rate, your support is needed now more than ever! All of our members can be assured that their support will help keep this incredible resource available to us in the future. If you live far away and cannot physically be here to ride, a basic membership will help in terms of keeping Mt. Motorcycles alive. Even in your absence, you can still make a real difference. If you are a dedicate motorcycle enthusiast looking to support proactive growth in our sport, then please become a member today! We offer Silver, Golden, and Family Memberships. Our 2015 dues start at only $15 for a Silver Membership, and 2016 Silver dues are projected to be $25. For Silver Members, these annual costs cover membership dues, not daily riding fees. However, with an upgraded Golden Membership, daily fees are waived. Daily ride fees will add slightly to the cost for Silver Members, but are certainly in line with other destinations. But unlike those other destinations, we only welcome motorcyclists. While we may or may not cost slightly more, our overall value is much greater due to our location, terrain, and exclusive commitment to motorcyclists. $15 per year + tax (and transaction fee if purchased online) . Each Silver Member will be eligible to reserve lodging and camping at Mt. Moto, and participate in Mt. Motorcycles Events, as long as their particular moto discipline is in line with the theme of the event. Trail Ride Weekends are considered events, and all trails are open to Enduro, Trials, Dual Sport, and ADV riders during trail rides. Silver members must purchase a daily/weekend ride pass for each Trail Ride Weekend ($20/35), as well as the applicable entry fee/s (TBA) for other events. This package is the best value for riders who plan to attend 2 or fewer Trail Ride Weekends in a season. Simple and quick online signups are required for EACH visit. Ride passes may be purchased online during sign-ups, or upon arrival at Mt. Moto. $99 per year + tax (and transaction fee if purchased online). Each Golden Member will be eligible to reserve lodging and camping, and participate in Mt. Motorcycles Events, as long as their particular moto discipline is in line with the theme of the event. Trail Ride weekends are considered events, and all trails are open to Enduro, Trials, Dual Sport, and ADV riders during trail rides. Golden Memberships INCLUDE daily rider fees for all scheduled Trail Ride Weekends. Does not include rider fees for other events. A 2015 basic Silver Plan is a great value for trail riders that only plan to ride once or twice per season. But for anyone that rides more than 2 full weekends per season, the Golden Membership is the better math. Simple online sign-up is required for EACH visit. $349 per year + tax (and transaction fee if purchased online). Your Family Membership includes 4 Golden Memberships. Riders who qualify for this plan are the Family Contact, contact’s parents, contact’s children, contact’s spouse, contact’s siblings, contact’s nieces and nephews, contact’s in-laws (Mother, Father, Brother, Sister in-law). Simple online reservations are required for each visit. Your annual dues will be used to offset a portion of our operating costs on the mountain, which are considerable! These operating costs include, but are not limited to insurance premiums, insurance premiums, and insurance premiums. We will also use your annual membership dues to help pay for insurance premiums. It costs a small fortune. Your annual membership dues can be considered your share of the price of the group’s annual insurance policy. Simply put, none of us could ride here without it. The daily rider fees, and upgraded memberships, will go to other operating costs, such as labor, equipment, fuel, utilities, land leases, etc. Based on our experience, we do not anticipate problems concerning rule breakers. In general, you are a great group of respectful people. 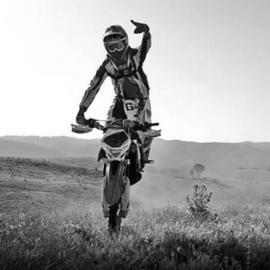 We adore our moto brothers and sisters for these reasons. But there is always “that guy”. We reserve the right to revoke “that guy’s” membership at any time for any reason. All decisions concerning revocation of a membership are immediate and final, and no refund(s) of any kind will be given in the instance of a revoked membership. Members who are revoked will not be permitted to ride at Mt. Moto again, until their case is reviewed carefully by management. In such case that we feel that a banished member is deserving of reinstatement, we will do so. We are level headed and want everyone to enjoy themselves and have fun. No one dislikes a bunch of unnecessary rules more than we do. However, certain things have to happen, and some things simply MUST NOT happen at all. We have identified the does and don’ts, which are listed in the official rules and requirements below. Our rules center around safety, the environment, respect for our hosts and neighbors, our commitment to the sport, our overall quality, and efficiency. In that order. We fully expect all of our members and guests to adhere to every rule at all times while on the property. Every rule and requirement we have was made with your best interest in mind. To become a member now, simply read our rules and regulations, and agree to the terms and conditions. By agreeing to the terms and conditions, you acknowledge that you have read, do understand, and will adhere to, the terms listed in the Memberships Page and The Official Rules and Requirements. Once you submit the application form and we process your membership payment, you will receive a confirmation and member id. You should receive your membership card in the mail within 7-10 business days. We use PayPal to process our transactions securely. Sorry, but minors must apply in person at Mt. Motorcycles. Please see the appropriate section in the Official Rules and Requirements, as it pertains to Minors. Become a Mt Motorcycle Member!